“Customer Service” – This is one of my favorite hats and a very important one for every small business owner. I guess I like this one because it comes naturally to me. My parents and grandparents owned an antique shop and I learned early on from them how to treat a customer with respect and how to offer exemplary service. What makes a small business special is the personal aspect, and when you are competing with so many others offering the same item you need to give unforgettable customer service. I want every person I deal with to have a smile on their face and a happy memory. I AM the face of my business to everyone I deal with, buyers at craft fairs, owners of consignment shops, hosts and guests at trunk shows, online buyers, members in online groups. To me customer service means being up front and taking care of any issues that arise immediately and fairly. It means answering questions quickly and it means following through on promises. My way of keeping customer service issues to a minimum is to be proactive and keep them from happening in the first place. The number one way I do that is by creating top quality handmade jewelry. The quality part comes very easy to me as I am an “A” type by nature so I seek perfection. While some choose quantity over quality I will take quality every time. A “rushed” piece of jewelry is easy to spot. I have sold between 225 and 250 pieces of jewelry and to date I haven’t had any problems reported back to me about it. I offer a money back guarantee on all my jewelry and I stand 100% behind the quality of my jewelry. Honesty is another big part of customer service. I have recently been part of a discussion on a business board about refunding buyers who haven’t used coupon codes. I have recently refunded four buyers a percent back on their purchases thru my Etsy shop. People can enter an Etsy shop through a variety of links and the only place to really advertise a sale is on the front page, a flaw in Etsy’s design. These buyers didn’t know I was having a sale and I could have let it go. But I couldn’t. I would never want someone to come back to me and say “why didn’t you let me know about your sale?” I approached it like this – “you can never go wrong doing what’s right” – and made the refunds. I know that these people may never buy from me again, and that doesn’t matter. I have done what’s right and I don’t have to worry about one of them seeing the link and asking me why I didn’t mention it. It’s a small thing to do, and the right thing to do. 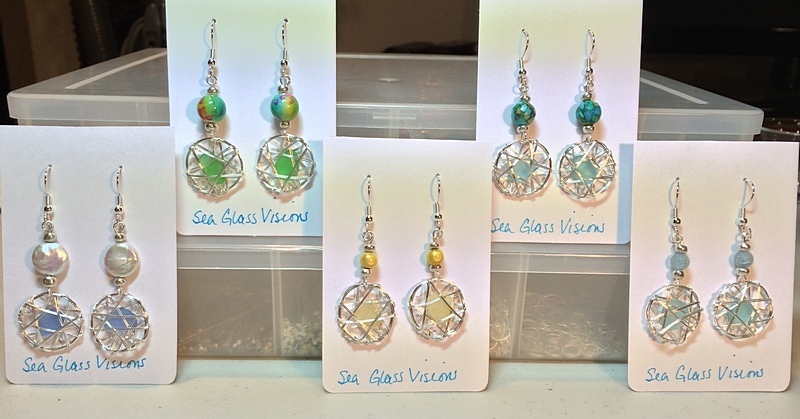 This entry was posted in Creating With Sea Glass, Selling Sea Glass Jewelry by Cathy. Bookmark the permalink.